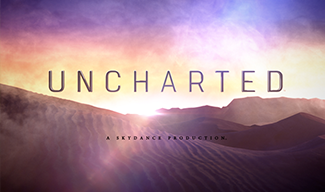 Santa Monica, CA – December 8, 2016 – Skydance, a diversified media company that creates event-level entertainment for global audiences, today announced that it has launched a new label, “Uncharted,” as part of its ongoing pursuit to grow its film and television business on a global basis. The Skydance label will continue to produce content that is driven by action-adventure, science fiction, fantasy, and world-building. Uncharted will focus on opportunities to tell exceptional stories that fall outside the borders of Skydance’s genre-specific brand attributes. The first feature film title under the Uncharted label is Paramount’s Baywatch, which is scheduled to be released on May 26, 2016. View the official trailer here. Baywatch follows devoted lifeguard Mitch Buchanan (Dwayne Johnson) as he butts heads with a brash new recruit (Zac Efron). Together, they uncover a local criminal plot that threatens the future of the Bay. The film also stars Priyanka Chopra, Alex Daddario, Kelly Rohrbach, Ilfenesh Hadera, and Jon Bass. Seth Gordon will direct from a screenplay by Damian Shannon and Mark Swift. Michael Berk, Douglas Schwartz, Gregory J. Bonann, Beau Flynn, and Ivan Reitman will produce. Skydance’s David Ellison, Dana Goldberg, and Don Granger will executive produce alongside Michele Berk, Mary Rohlich, Louise Rosner-Meyer, Tom Pollock, Ali Bell, Dwayne Johnson, and Dany Garcia. Hiram Garcia and Eli Roth will co-produce. Additional Uncharted films are currently in development and will be announced shortly. Upcoming Uncharted television series include Ten Days in the Valley on ABC and Dietland on AMC. Ten Days in the Valley follows Jane Sadler (Kyra Sedgwick), an overworked television producer and single mother in the middle of a fractious separation. The series also stars Erika Christensen, Felix Solis, and Kick Gurry. Tassie Cameron serves as writer and showrunner of the series, which she executive produces alongside Sedgwick, Jill Littman, and Skydance’s David Ellison, Dana Goldberg, and Marcy Ross. Dietland, which is based on the 2015 novel by Sarai Walker, is set against the backdrop of the beauty industry, exploring society’s obsession with weight loss and beauty. Marti Noxon will write and executive produce with Skydance’s David Ellison, Dana Goldberg, and Marcy Ross, Tiny Pyro’s Maria Grasso, as well as Bonnie Curtis and Julie Lynn of Mockingbird Pictures. Today, Skydance is a leading producer of major Hollywood studio films and television shows. Since its inception in 2010, Skydance has produced 11 feature films, which have cumulatively grossed approximately $4.2 billion in worldwide box office receipts. Skydance Television was launched in 2013 and is currently slated to produce seven original series across multiple networks. Skydance has over the past twelve months significantly expanded its business operations by increasing the production of both feature films and television series as well as launching Skydance International and Skydance Interactive.